Winemaker for high-rollers, celebrity chefs, and the stars. He started making wine out of his garage in 2001... now Derek's wines are the darling of celebrity chefs, featured in high-end restaurants like Bobby Flay, Bouchon, Gary Danko and Michael Mina. Derek knows what he's doing and has the connections to make fantastic wines from extraordinary places - he loves working with signature regions like Napa, Dry Creek Valley, Santa Lucia and beyond. Thanks to your support, Derek is able to make delicious luxury wines for Angels who want to enjoy the gourmet life at home! "I employ simple, traditional winemaking techniques - gravity-moving wines and bottling my red wines unfined and unfiltered - allowing the source fruit to remain at the forefront, vine to bottle. My travels to notable winemaking regions in Europe, including France and Italy, as well as Australia, helped hone his winemaking approach. "I have been very lucky in my life and the opportunity to make wine for the Angels is a fun way to both focus on varietals I have a ton of experience working with and also explore others I have always wanted to work with. I love searching out unique vineyards, getting to know the land and vines, and working hard to express what the vintage gives us." 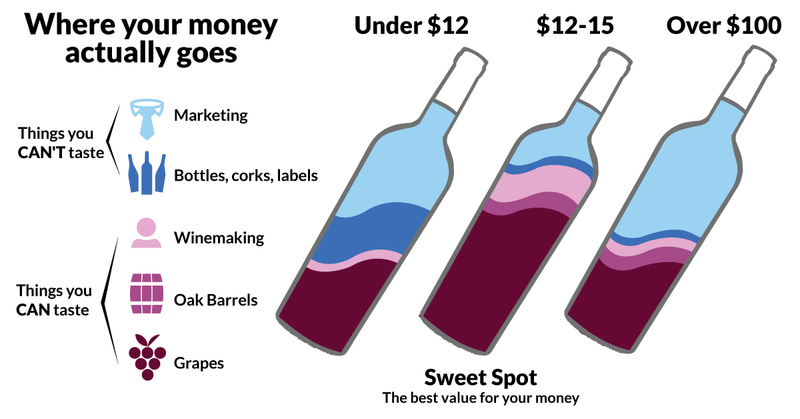 "The challenge in the U.S. is to bring low-cost, high-value wines to the market as so many other parts of the world have done a great job of lately and that was when I knew that Naked was serving a market that wants and needs its wines. "I am Bravium Winery's proprietor and winemaker. Bravium’s vineyards are located in the relatively cool areas of Anderson Valley, Carneros, Santa Cruz Mountains, Santa Lucia Highlands, Sonoma Coast, and Mendocino Ridge's highest elevation planting at 2,642 feet above the Pacific Ocean." "I am also own Outlier Wine Co., which features a wide-ranging roster of distinctive wines, from Proprietary White and Red Blends. Bravium Winery is located in Napa and Outlier Wine Co. is located on Treasure Island, in the middle of San Francisco Bay." Derek is also a member of the Cherokee Nation and is one of a small number of Native American winemakers. In the past I would have described myself as a lover of reds. Since being involved with Naked Wines and the winemakers and other participants, I've opened my horizons and really embraced all wines and the qualities they have to offer. Knowledge is power.